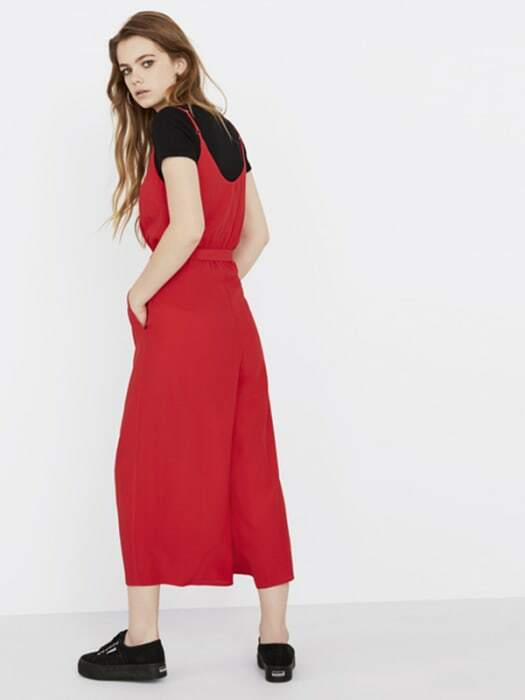 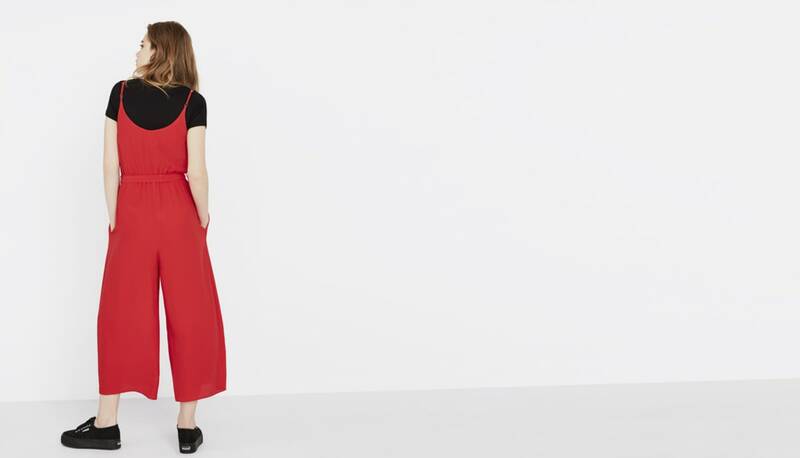 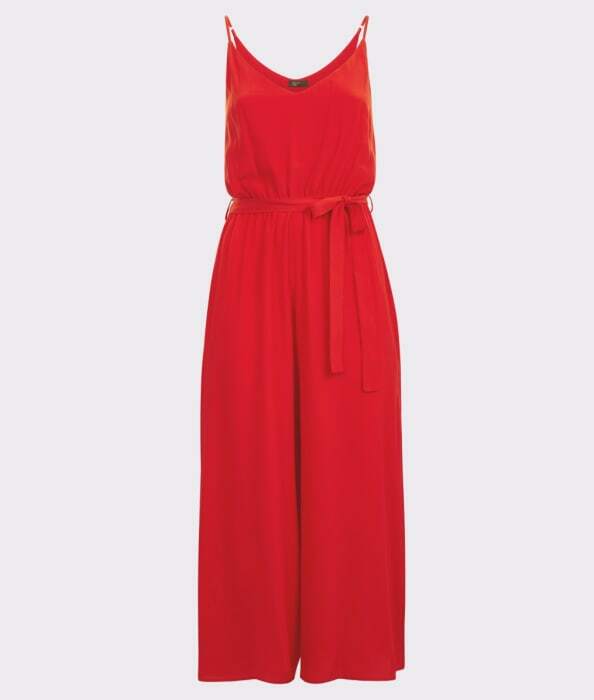 Ditch the dress for a change and make an all-in-one statement with this Strappy Culotte Jumpsuit. 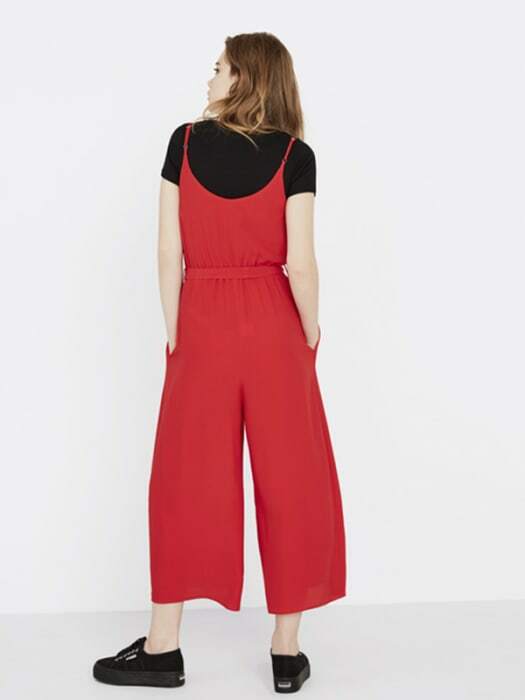 In super-soft jersey, the wide leg trousers swish with every step while a self-tie belt draws in the shape for a flattering finish. 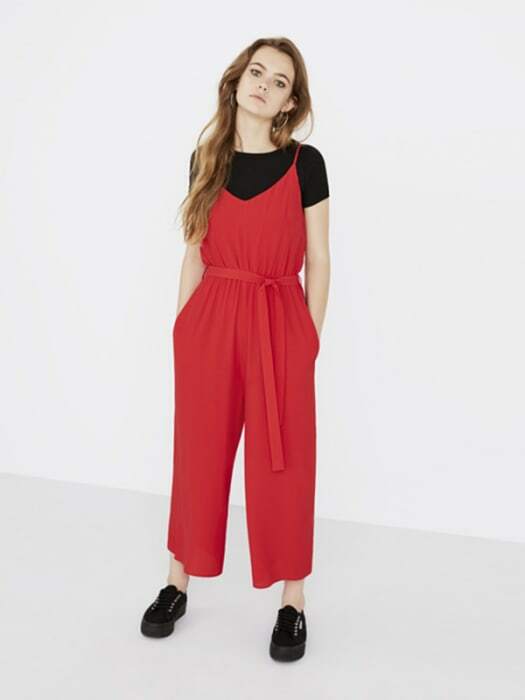 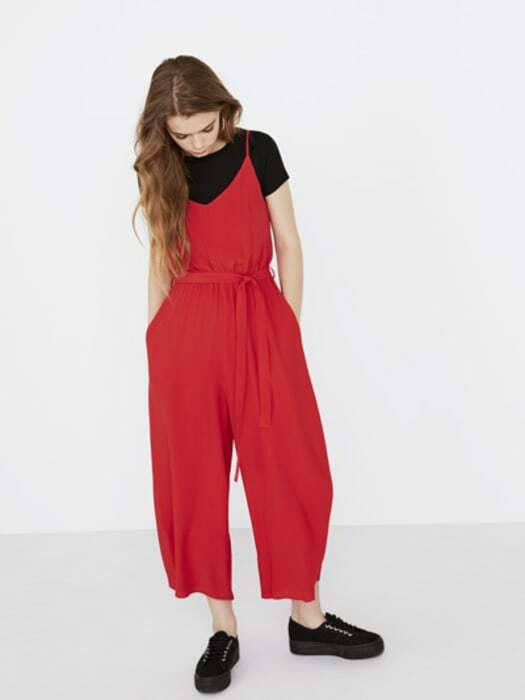 Layer it over a plain black tee and let the red sing!